The gastrocnemius muscle is one of three muscles that make up the calf, along with the triceps surae muscle and the soleus muscle. 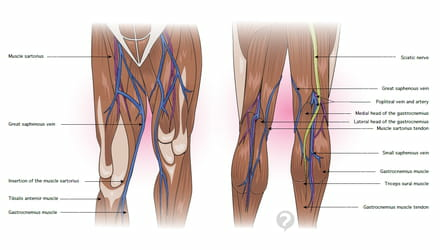 The gastrocnemius muscle is divided into two sections, external and internal, attached to the inner and outer aspects of the femur, respectively, which then join together and are attached to the calcaneus. The gastrocnemius muscle is located near the knee joint. It is a flat muscle. The gastrocnemius muscle enables the flexion of the knee. Original article published by Jean-François Pillou. Translated by christelle.b. Latest update on August 20, 2014 at 05:38 AM by christelle.b. 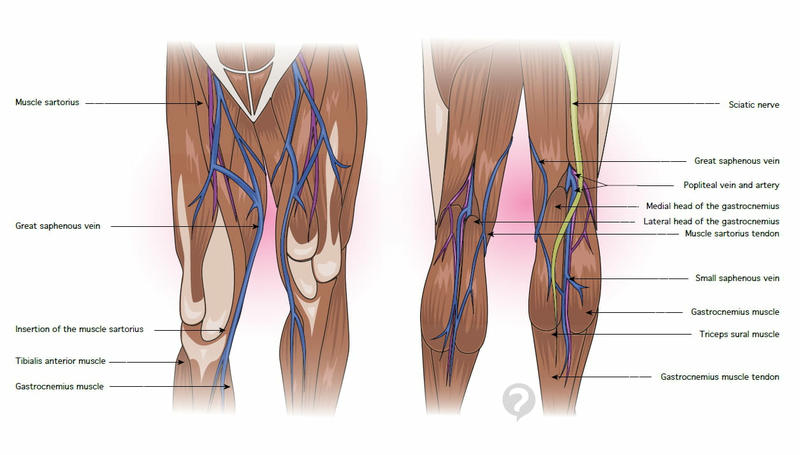 This document, titled "Gastrocnemius muscle," is available under the Creative Commons license. Any copy, reuse, or modification of the content should be sufficiently credited to CCM Health (health.ccm.net).